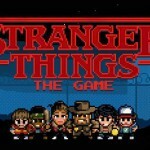 For the next week or so, you won’t be able to visit any online entertainment site without some piece on Stranger Things. Unfortunately we’re also going to be held in that realm for today. The truth is, 80s fans should love Stranger Things. We have a brief theory on why and who knows, maybe you’ll check it out after reading this. We’re gonna keep this very short and sweet. More than anything in the current days of entertainment, Stranger Things has paid homage to all of the greatest aspects of the 80s. From the fashion to the music, 80s culture is absolutely oozing out of Netflix’s giant success of a show. This carried over into the recently released second season of the show. 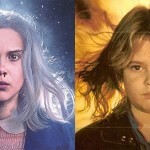 The show’s creators The Duffer Brothers, really have a clear admiration for the decade and if having a setting and time period isn’t enough, these guys went as far as to include Easter eggs and mentions from the 80s. “Though Stranger Things is famous for riffing on popular 80s callbacks, you’ll also find more than a few references that stretch outside that decade this season,” according to VanityFair. VanityFair would then go on to highlight some 29 references to the decade we all love. These references including big and easy-to-notice ones like The Ghostbusters, to harder to define ones such as Rob Lowe’s hairstyle in St. Elmo’s Fire. 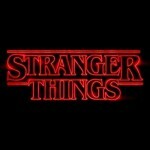 Stranger Things is a clear champion of everything 80s and as people who love the decade, we can appreciate the show for just that. You can check out the all of the references from the 80s in the VanityFair article. Though, we do challenge you to take a look at the second season and see how many you manage to notice on your own.